GlobeCore is a member of the American Wind Energy Association (AWEA), and always tries to find solutions to the urgent problems in the industry. Among the tasks are: increasing reliability and extending service life of wind turbine transformers. These transformers convert the voltage of turbine generators for power lines. They are positioned within the tower or near the tower base. 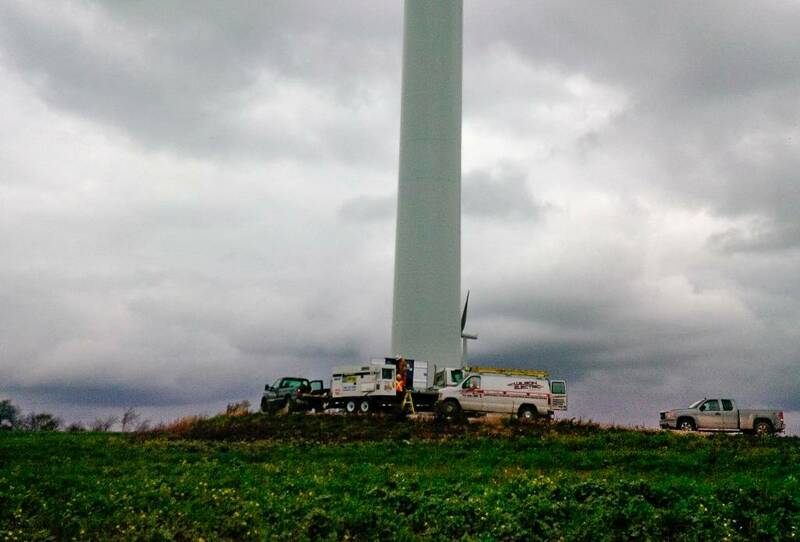 Recently one of GlobeCore CMM-4/7 units started operation on a wind farm in Canada. This equipment is designed for degassing, removal of free and dissolved water and solids from insulating oil. Also, it heats the oil before filling transformers and other electrical equipment. The secret to high performance of the CMM units are the activators that contribute to instantaneous evaporation of gases and water from oil. The unit is compact and mobile. It quickly services the wind turbine transformers located in remote areas. Saves money on purchase of new insulating oils.